After a minor medical emergency and a ridiculously busy week, I am back to my major endeavor for the month of March, rewriting the first chapter of my manuscript on Moroccan alternative music. It opens with a musical vignette that introduces the music, sets the scene and sets up the theoretical framework for the book. It’s a tricky section to write: writing about music is always tricky. Attempting to capture a primarily aural experience in print is an exercise in capturing lightning in a bottle, especially if you are writing for an academic audience. Too often “serious” writing on music loses the immediacy of the musical experience in overly careful prose designed to maintain some misguided allegiance to accurate representation — misguided because losing the truth of an experience is a high price to pay for obsequious fealty to maintaining the real. And is it a choice we have to make? This is one area where ethnographic fiction opens up possibilities that call out for exploration and new sources of inspiration. 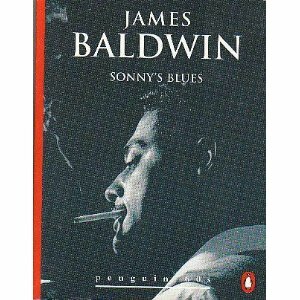 Some the best writing on music is found in fiction and James Baldwin’s work abounds in striking descriptions of musical experience. The following excerpt is from his story “Sonny’s Blues” (an extended excerpt is featured in the Sun magazine this month). all i know about music is that not many people ever really hear it. and even then, on the rare occasions when something opens within, and the music enters, what we mainly hear, or hear corroborated, are personal, private, vanishing evocations. but the man who creates the music is hearing something else, is dealing with the roar rising from the void and imposing order on it as it hits the air. what is evoked in him, then, is of another order, more terrible because it has no words, and triumphant, too, for that same reason. and his triumph, when he triumphs, is ours. i just watched sonny’s face. his face was troubled, he was working hard, but he wasn’t with it. and i had the feeling that, in a way, everyone on the bandstand was waiting for him, both waiting for him and pushing him along. but as i began to watch creole, i realized that it was creole who held them all back. he had them on a short rein. up there, keeping the beat with his whole body, wailing on the fiddle, with his eyes half closed, he was listening to everything, but he was listening to sonny. he was having a dialogue with sonny. he wanted sonny to leave the shoreline and strike out for the deep water. he was sonny’s witness that deep water and drowning were not the same thing-he had been there, and he knew. and he wanted sonny to know. he was waiting for sonny to do the things on the keys which would let creole know that sonny was in the water. and, while creole listened, sonny moved, deep within, exactly like someone in torment. i had never before thought of how awful the relationship must be between the musician and his instrument. he has to fill it, this instrument, with the breath of life, his own. he has to make it do what he wants it to do. and a piano is just a piano. it’s made out of so much wood and wires and little hammers and big ones, and ivory. while there’s only so much you can do with it, the only way to find this out is to try; to try and make it do everything. and sonny hadn’t been near a piano for over a year. and he wasn’t on much better terms with his life, not the life that stretched before him now. he and the piano stammered, started one way, got scared, stopped; started another way, panicked, marked time, started again; then seemed to have found a direction, panicked again, got stuck. and the face i saw on sonny i’d never seen before. everything had been burned out of it, and, at the same time, things usually hidden were being burned in, by the fire and fury of the battle which was occurring in him up there.